Wreaths were laid on the graves of fallen soldiers on Saturday at Togus Medical Center in Augusta. 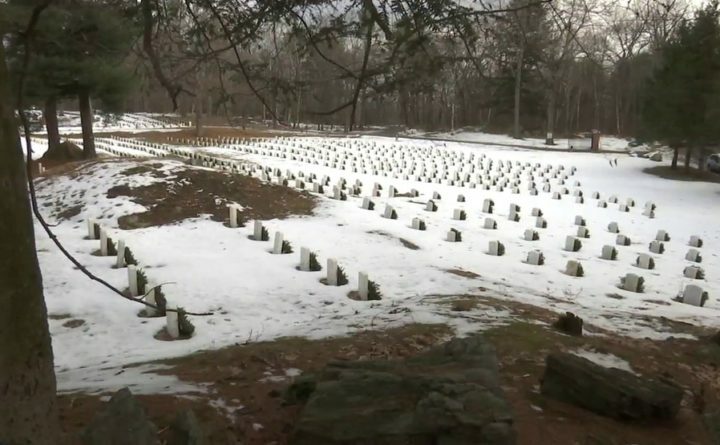 Mainers paid their respects to fallen veterans Saturday at the Togus Medical Center in Augusta, by laying wreaths on soldiers’ graves, some of whom fought in the Civil War. Muskets were fired at the ceremony, as people in attendance gave a salute to the fallen soldiers. The wreaths were laid on veterans’ graves the same day thousands of wreaths, delivered from Maine to Arlington National Cemetery in Virginia, were laid on the graves of fallen soldiers.